﻿ White House Hotel, Da Nang | FROM $32 - SAVE ON AGODA! "The hotel has breakfast included which makes it a decent mea..."
Have a question for White House Hotel? 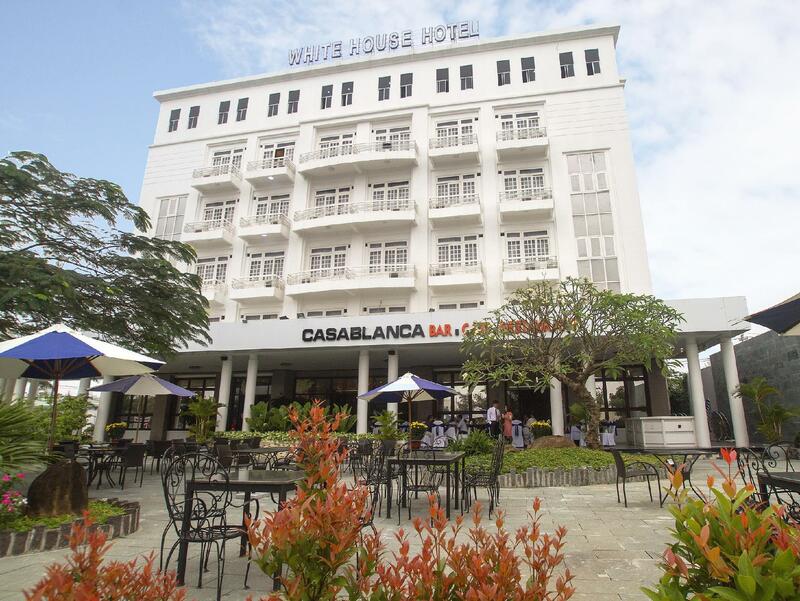 White House Hotel is a 3-star hotel with 52 rooms, a restaurant, Casablanca bar, garden, coffee shop, Martil conference room, and a souvenir shop. 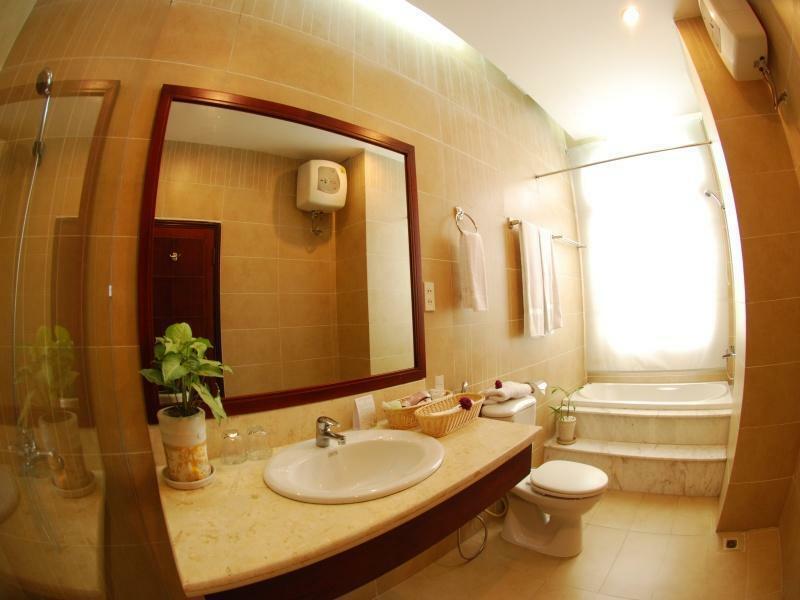 The property is conveniently located between My Khe Beach and the center of downtown Da Nang. The harmony between the natural scenery and hotel garden makes White House Hotel stand out from the neighboring hotels and catches just a glimpse of Han River Bridge. 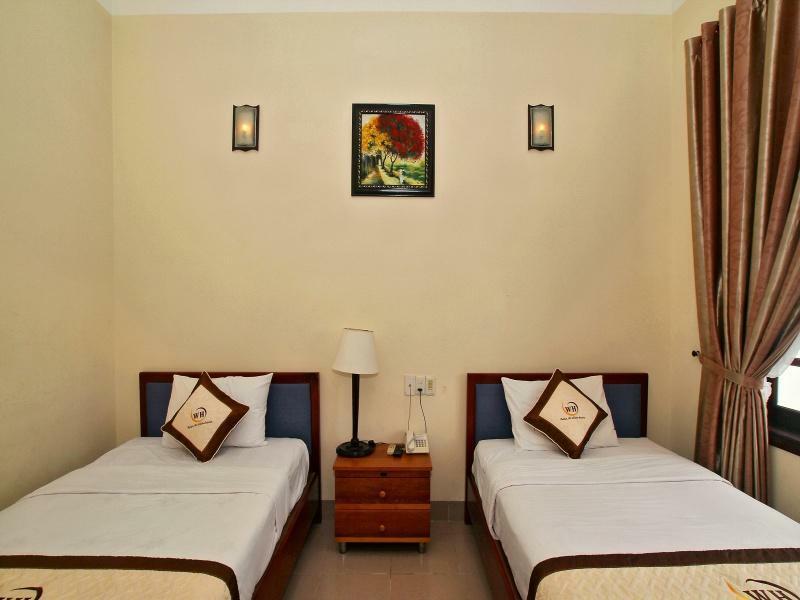 With attentive, caring, and professional staff, White House Hotel will surely bring satisfaction to all guests. The hotel has breakfast included which makes it a decent meal. The room advertised itself as having a desk, but the "desk" was actually the TV stand. Functioned as a desk if you put a chair in front of it. There was a balcony that looked upon a parking lot. Across the street you would find some local open air restaurants. Hot water was not served. But very close to bincom shopping center. As per previous reviews, hotel could be great if it was given a major makeover. We skipped breakfast on 2nd day as 1st day did not entice us at all. Staff were very helpful and friendly. Would only stay again if hotel was cleaned and renovated. it was fine. although I didn't stayed long enough in my room because I need to attend a conference. Helpful and friendly staff who are not pushy to add cost. The hotel is not far from the beach. There was electricity problem when we checked in but the staffs were working their best to give us the best service. Very pleasant staff always willing to help. Very friendly. A short taxi ride to the beaches and the city centre. Very quiet peaceful location with plenty of local eating places up the road. We had a comfortable stay, the staff were very keen to assist us with our stay in Da Nang. If you're looking for somewhere between town and the beach it's a good spot although it is on a busy road. I was pleased with my accommodation in this hotel. The receptionists were really friendly. One of them was very helpful to find a motorbike for me to rent. The porters were nice too. My children loved the breakfast here. We had 2 dinners at the restaurant. The food w as good and not very expensive. The hall and stairs were wide and clean. However, I didn't like the restroom very much. The floor of the restroom was always wet after we bathed. There should be a bath area that helps to dry the floor. This hotel is so friendly especial. the staffs and reception are also nice. 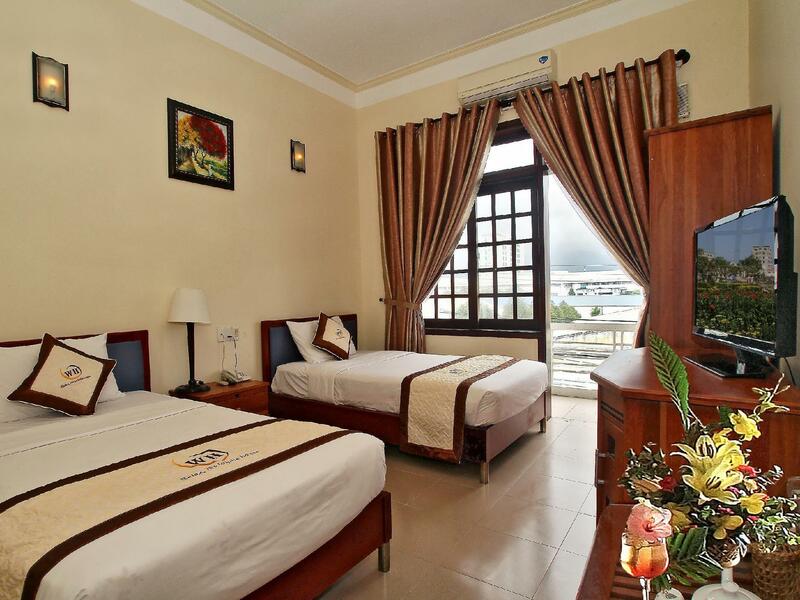 I have long time lived in Da Nang city and I have lot friends here, but I still book this hotel for convenient. It not only near the beach but also have beautiful landscape on Han bridge. If you stay here, you should close window to avoid noise from vehicle for having good sleeping.